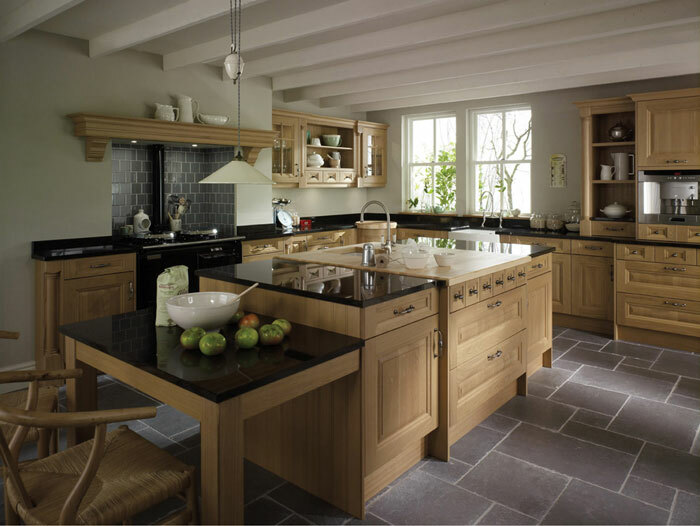 Cornell's natural oak and fine detailing, from solid oak pilasters to mantels and corbels, are the epitome of a country kitchen. Choose pewter handles for a luxurious finishing touch. Cornell combines outstanding craftsmanship with everyday functionality and is full of carefully considered features, such as curved corner storage and pull-out, dovetailed trays.